No baseball or softball field is complete without a chain-link fence installation. 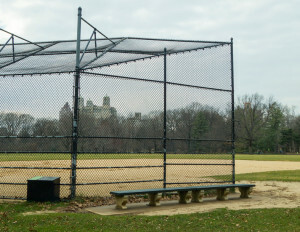 The towering overlook of the chain-link fence behind home plate is as signature an appearance as the baseball diamond itself after all. This chain-link fence is not just for decoration either. When playing softball or baseball, the field’s chain-link fence is often the only thing keeping a powerful swing from sending a ball right into the stands! Consequently, safety and durability need to be the number one priority when deciding on the kind of fence for a softball or baseball field. While, strictly speaking, any kind of barrier will work, only commercial chain-link fences have the mix of durability, strength, and convenience that sports fans and sports players alike can enjoy. A baseball is a powerful projectile. Even an eight-year-old Little Leaguer can hurl a ball at around 35-40 miles per hour. The fence used behind home plate has to be able to take these blows routinely and without weakening in order to protect spectators. Wood fences may be nice to look at, but hurl a baseball at once and you’ll just get splinters. Chain link is able to absorb blows again and again from balls, bodies, and even hurled bats. Using chain link to ring the entire field of play is also common and serves as a simple way to mark the boundary and to also withstand the blows of any outfielder who is looking more at the ball than at where they’re running. Baseball and softball fields are traditional spots in any community. It isn’t uncommon for a single field to see multiple generations batter up on its grounds. Chain link is able to match the longevity of sports fields and can withstand harsh winds, rain, snow, and time with ease. Maintenance is also extremely simple: just get some soap and water and have at it. Although it’s not a common occurrence, it can sometimes be necessary to repair or replace part of a chain-link fence. Fortunately, this is not hard. Chain link is set up in such a way that the damaged section alone can be cut out and replaced. With a bit of DIY knowledge, you can do this yourself for small portions of the fence. For larger sections, or if you want to make sure it’s done with expertise, your local chain-link fence company will usually offer quick repair services. One of the more recent developments in athletic fencing is something called the batter’s eye screen. This is a large, black, chain-link add-on to the outfield fence that forms a screen that is 20 feet tall and up to 140 feet wide. The purpose of this is to provide a black background for the batter to be able to see the ball more effectively. Although not necessary for every field, chain link is the go-to material of choice whenever one is desired. The expert contractors at Total Fence Inc. provide residents, businesses, and industries of the Greater Toronto Area and beyond with quality commercial chain-link fences and security gates as well as repair, installation, maintenance services, and much more. 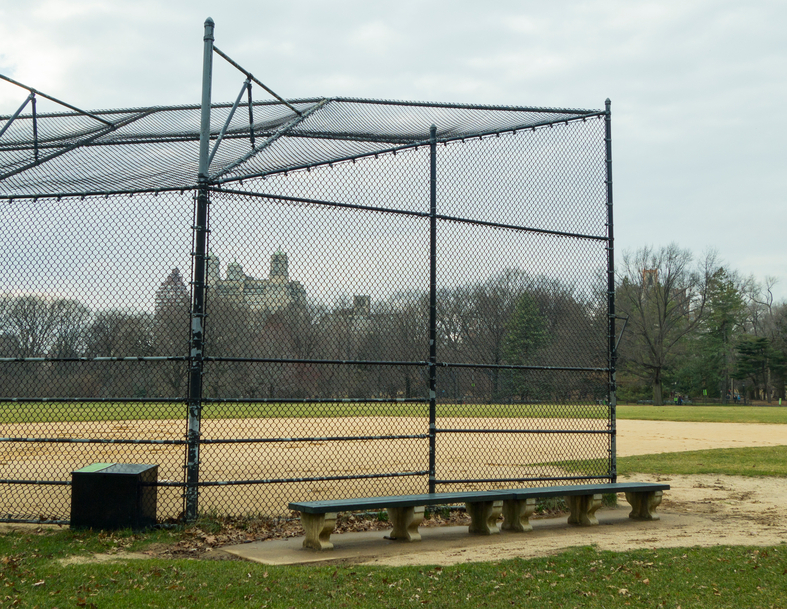 Whether you want to give a baseball diamond the protection and security it needs or to deter trespassers from private property, chain link is always the obvious choice. Our professionals are among the best in their field and are committed to quality in all efforts. To learn more about our chain-link fencing services or to get a quote, feel free to contact us at info@totalfenceinc.ca.